If iTunes doesn’t automatically notify you, you can download iOS 4.3.1 by attaching your iOS device to iTunes and then checking for software updates within the app. 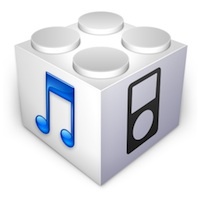 If you’d rather download iOS 4.3.1 IPSW directly, you can do that too using the links below. Noticeably absent is iOS 4.3.1 for iPhone 4 CDMA. Regarding iPad 2,2 and 2,3, if you own one of those devices and you are directly downloading IPSW, you probably know what you’re doing and know which is for Verizon and which is for AT&T, but I don’t have access to that hardware to confirm either at the moment. Note for those on Windows: these are .IPSW files, if your browser is saving them as .zip or any other archive, you need to rename the file to .ipsw for iTunes to be able to use the firmware. This is not an issue that affects Mac OS X users.